Landscape painter Robert S. Duncanson was a freeborn African-American, who worked in Cincinnati and was recognized as the “best landscape painter in the West.” He worked in the manner of the Hudson River School, and was also influenced by the French painter Claude Lorrain, whose work he saw on an abolitionist-financed trip to Europe in 1853. Duncanson was supported by many abolitionists, although he rarely included overt anti-slavery sentiments in his work. Here, Duncanson recalls the landscapes of Claude through compositional layering: he paints a dark foreground with a large tree to the side, a brighter middle distance with a body of water and classical architecture on a hill behind it, and a background of blue mountains. Duncanson populates this Arcadian landscape with four figures of varying skin tones. The figure closest to the viewer is one who sits under the tree in the right foreground. This figure appears to be a white woman, who turns to look behind her, past the tree, and towards the pond. Her exaggerated turn points the viewer’s attention as well, towards the three figures at the pond. These three figures range, from left to right, from black to brown to white in skin tone. The black and brown figures appear to be men, with the white figure appearing to be a woman. The black man is standing in a boat, and appears to hold an oar or pole. Standing on the bank are the brown man and white woman, who appear to be conversing. 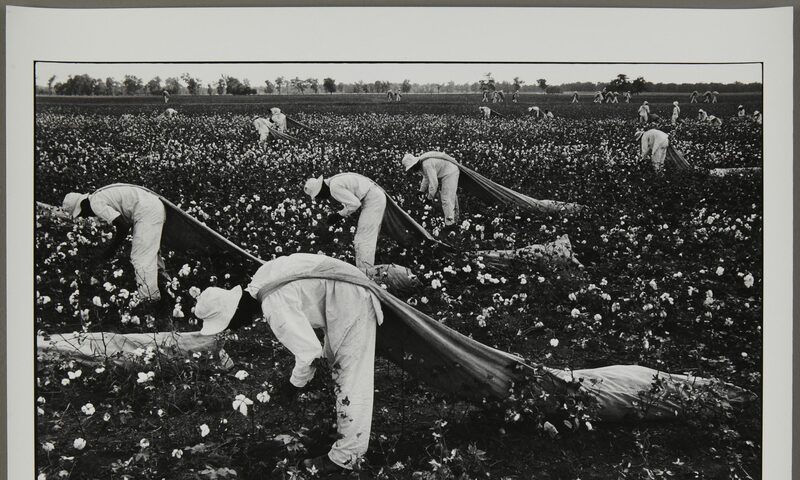 It is unclear what the relation between these three figures are, and the black man may in fact be working for the pair who stand on the bank. Nevertheless, the three figures seem to be in harmony. Perhaps this harmony serves for Duncanson as a subtle anti-slavery argument. 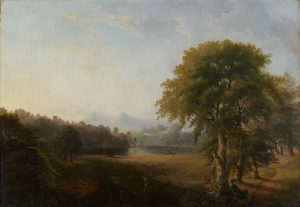 That this harmony exists in an Arcadian landscape, beneath a hill of classical architecture, gives Duncanson’s landscape the weight of classical history, as well as more recent art history.